Chris Hemsworth — who portrays Thor on the big screen — lit up the cover of GQ for the September issue. In the issue, he spoke about ditching Hollywood's paparazzi scene for the surf-happy shores of Australia back in 2014 with longtime love Elsa Pataky and their children. "Both trips we did, it was like pouring rain. And [Elsa] was like, 'I don't know what the big fuss is.' Then I said, 'Let's do a trip up to Byron Bay,' and we get off the plane and it's raining. I'm like, 'Oh, my God. I'm not selling it,'" Hemsworth told GQ. "And she instantly went, 'No, there's something different about this place. It is a very special place.' She went, 'This could be it. It could be the best decision we've made.'" Occasionally, Pataky and Hemsworth post pics of their kids — but the actors do not show their children's faces. 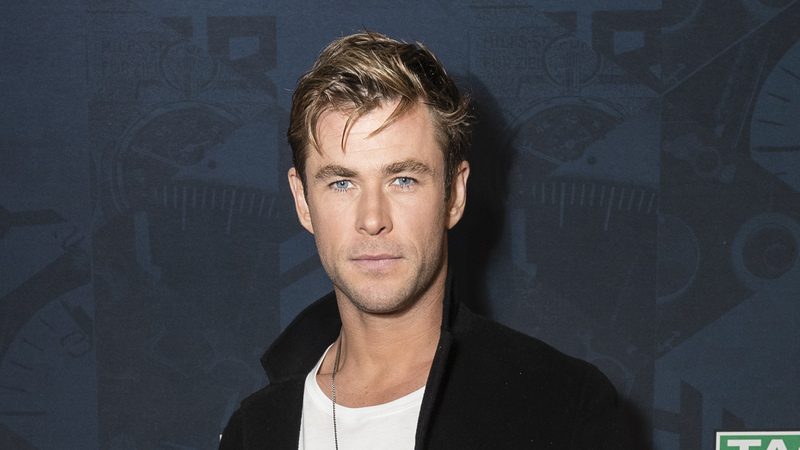 However, Hemsworth recognizes that this is indeed the era of social media — and he admits he's not always sure how to proceed with that, especially when it comes to his kids. Hemsworth told GQ, "The social media side of it is just trying to work out: How do you keep up with the times?' You see that Sylvester Stallone has an Instagram account, and you kind of go, 'This is the world we're in.'" More: Chris Hemsworth Rocks Out With Kids to "Wrecking Ball"
But Hemsworth won't be selling any of his family time, thanks much. "The exploitation is something I'm very wary of," he said. "We've been offered things like, 'Advertise such-and-such and have dinner with your family.' There's no way." Paparazzi obsession has lessened with the family's move to Australia but hasn't disappeared altogether. Just recently, paparazzi hounded the family and kept shooting when one of Hemsworth's sons took off his bathing suit. Bad move, paps. "He's naked, and I look over, and they're still shooting. I ran over, and they knew. I just very pointedly and definitely said, 'Don't you dare,'" Hemsworth said. "I was close to destroying the camera." With his Thor hammer, naturally. But he's competitive when it comes to being the best dad — especially if there's a chance to impress his daughter. Recently, Hemsworth competed in a fathers race (those poor other dads had no chance) and won first prize (big shocker there). "There was just this wave of nirvana. I turn around, and I go, 'Where's my daughter? Where is she?' And she's like, 'Dad, did you win?' And I'm like, 'Did I win? You didn't see it?!' They gave me a sticker. A first-place sticker," he says. Pataky missed the race but found Hemsworth's excitement hilarious. "I've never seen him so excited, not even about getting a big job. It was probably one of the best things that has happened to him in his life, which is funny, right?" Pataky laughed. "All the things he has achieved?" Can you imagine having Thor participate in a daddy race at your school? Dang. That's pretty fabulous — even if we'll never get to see a photo of it.